Improve performance in your single thread app by catching the exceptions that can hinder performance and reduce response time. 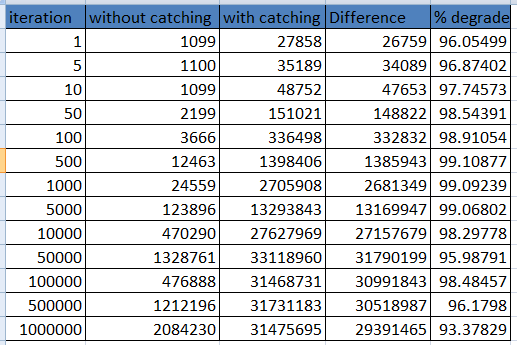 In this post, we will look at simple example how catching exceptions impacts performance. Avoid catching exceptions as it will reduce response time. Above, the example demonstrates results for a simple single threaded application; however, the situation will become worst in multi-threaded environment.